Repair and keep bird feeders filled so that birds will continue to visit during months with less abundant food. Pre-order your 2019 roses before Sunday, 12/2/2018 and enjoy 10% off the listed price. 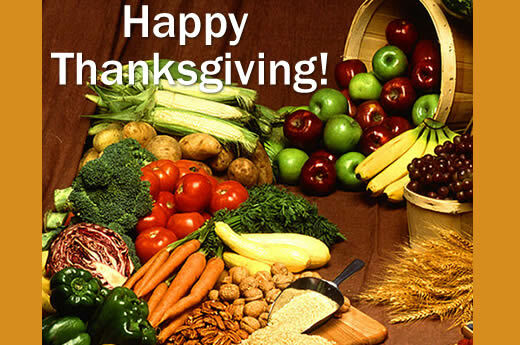 We will reopen on Friday with our normal hours: 7:30 - 5:00. 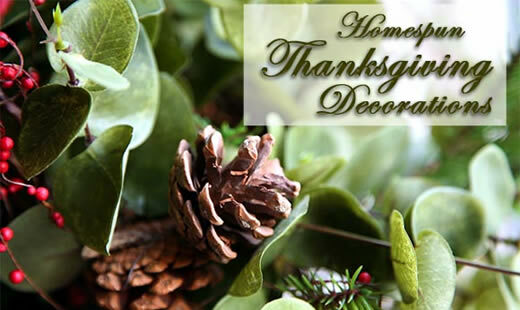 Most gardens have everything needed to make beautiful, fast and easy Thanksgiving floral decorations for your table and accents all through the house. Here's one project you can do in just a few minutes....You'll have fun (and experience great health benefits) foraging through your garden in the cool autumn weather. Harvest Bough — Great to hang over doorways, mirrors, mantels, and pictures. 6 long thin branches from a tree or tall shrub, about 3' long each. Strip off all leaves. 4-6 clusters of branches with colorful leaves. Layer the bare tree branches in a crisscross pattern on a work table. Use florist wire to secure the center. Next place 2 long leaves on each side of the center. Place the leafy branches evenly on both sides of the center with the leaves pointing away from center; make sure the long leaves are not totally covered. Wire everything in place at the center and wire again at about 6" from each side of center. Cluster the 3 pine cones, wire together and then wire to the center. Using a glue gun, attach berries/pods 3 each on either side of the pine cone cluster. Optional: wind decorative holiday wire ribbon around and through the branches. Make a wire hook around the center and hang. Use your imagination! Add blades of red fountain grass or miscanthus or flower seed pods. Remember--the goal is to be resourceful and create a thing of beauty from your own backyard! If you're looking for a plant to provide color for the fall and winter shade garden, cyclamen is a great choice. But cyclamen can do much more than that: even though it is technically a bulb, it doesn't really act like one. What do we mean? 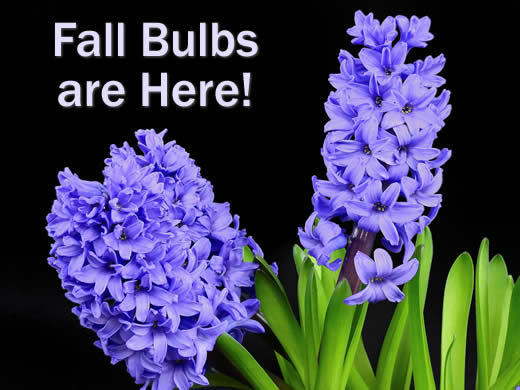 Aside from the fact that it does go dormant like most bulbs, unlike most bulbs it will grow almost as happily in the house as it does outdoors (providing a few simple rules are observed) and it blooms for a much longer period, from fall through spring. The appearance of the plant and its blooms is endlessly fascinating. The leaves are heart-shaped and grow luxuriantly to form a dense mound; these leaves can be mostly green or mostly silver with beautiful contrasting markings. The profuse flowers that stand well above this mass of foliage resemble graceful butterflies and come in red, white, pink, lavender and bi-colors. When planting your cyclamen outdoors, choose a shady to semi-shady spot with good drainage. It is important not to plant them too deeply; keep the top of the tuber slightly above the surrounding soil (this also helps keep water away from the crown of the plant, which can cause the tuber to rot). 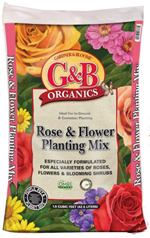 Feed regularly while the plant is actively growing and producing flowers; your plant will continue to grow and bloom from fall through early spring. As soon as the flowers begin to fade, snap the stems off near the base of the plant; likewise remove any dying foliage. Consider planting cyclamen in large groups of the same color or possibly two contrasting colors. A great combination is red and white--each color plays up the other to the greatest extent. Cyclamen are also very effective in mixed container plantings with pansies or ornamental kale or cabbage, possibly with some variegated needlepoint ivy draping over the sides. If you plan to grow your cyclamen indoors, choose a well-lit spot away from heater vents but out of cold drafts. Cyclamen prefers high humidity during the winter, so place your container in a tray full of pebbles with some water in it (do not let the pot sit in the water--the pebbles will help raise it up a little higher). 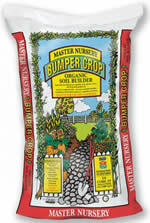 Keep the plant well groomed and continue feeding with a liquid fertilizer. 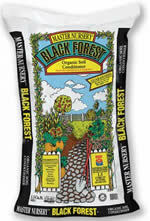 If you have a decorative pot the right size, you can simply slip your plant, nursery container and all, right into it. One caveat: if the outside pot you choose does not have drainage holes, make sure to remove your plant to water it and let it drain thoroughly. If you allow your cyclamen to stand in water, it will quickly die. Cyclamen do not mind being in a tight space, so it probably won't be necessary to repot it right away. If you do decide to repot your plant, use a good quality potting soil and choose a container just a little larger than the original one (make sure that the new pot has drainage holes). Given the right care, you can keep your cyclamen from year to year. When the weather begins to get very warm (mid-spring to early summer) it will stop blooming and the foliage will begin to die back. If it is in a pot, place it in a shady spot, where it will get occasional (but not frequent) water until it begins to grow again in the fall. If it is planted in the ground, it is a good idea to lift it and pot it, as it is easy to overwater it (especially in heavy soils) while it is dormant, which will cause it to rot. If you have never tried growing cyclamen before, now is the time to give it a try. We're sure you'll love them as much as we do! Simple mouse traps set together within the runway, with the triggers facing away from each other, can be very effective and no bait is needed. The use of a bait containing zinc phosphide can also be very effective, especially during the fall and spring seasons. 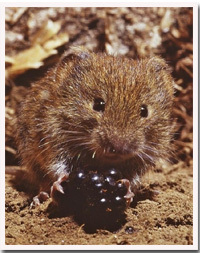 For moles, we also recommend using a grub control product to remove one of the mole's major food attractions. Why don't people use cow manure as much nowadays? Because it's smelly and no fun to handle! Actually, steer manure has always been considered a good cheap fertilizer, and many old timers still swear by it. 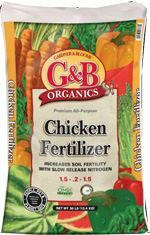 The problem is that uncomposted steer and chicken manure are high in salts, which can burn (or even kill) plants while raising the pH of the soil. Uncomposted manure is also offensive to your neighbors' noses, unless you live on a large lot out in the country. Fresh manure can also carry diseases and parasites. 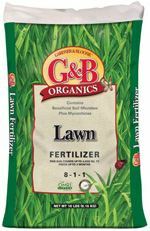 With the advent of so many great all-organic fertilizers, there's really no need to add manure to your garden. 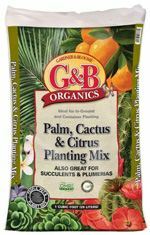 You can get much better and more balanced results with regular feedings of organic plant foods, without the manure. 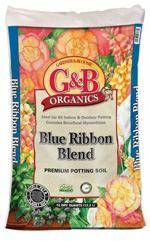 If you really want to use manure on (or near) your food garden, please use sterilized/composted manure. It's much safer than fresh, and doesn't have as much odor. Note: You can also use a regular pie crust. Stir all crust ingredients in a 9 or 10 inch pie plate; press wet crumbs uniformly against bottom and sides. Bake 12-15 minutes, until golden brown. Set aside. Turn up oven to 425°. Whisk eggs, pumpkin, brown sugar, cocoa, cinnamon, allspice, cloves, nutmeg and salt until lumps are completely gone. In a separate bowl, dissolve espresso powder in vanilla extract and milk. Combine with other wet ingredients, beating until silky smooth. Pour mixture into cooled pie crust, baking 15 minutes at 425°. Reduce oven to 350° and bake about 30 minutes more, or until a knife inserted into the center comes out clean and the filling jiggles slightly. In a microwavable 2 qt. bowl heat cream at 50% power until bubbles form at sides. Remove and add chocolate all at once. With a clean whisk, begin gently stirring in center of bowl. As chocolate melts, continue gently and evenly stirring until all chocolate is incorporated and no lumps remain, 2-4 minutes. Fold in sugar; when incorporated, fold in butter until mixture is glossy. Allow ganache to rest loosely covered on counter until slightly thickened. Spoon ganache onto cooled, baked pie. Tap pan against counter to remove air bubbles so surface is glossy and smooth. Store in refrigerator, allowing to come to room temperature before serving. Refrigerate leftovers promptly.